The mayor's latest funding scheme could cost the schools millions. 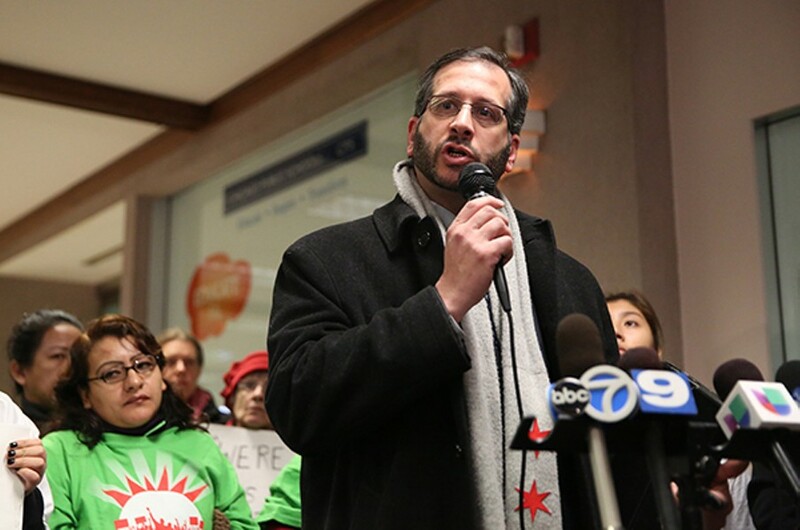 Chandler West/Sun-Times John Arena (45th Ward) was one of just five aldermen who voted against Mayor Rahm Emanuel's complicated preschool funding plan. 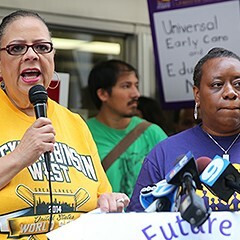 As a public service announcement for the people of Chicago, I'd like to urge each and every one of you to beware of any claims by Mayor Emanuel about how he's expanding preschool for poor kids, because I have a feeling he's preparing the campaign ads as we speak. The mayor has promised to offer pre-K programming to about 2,600 more children over the next four years, but this is most definitely not a boon for poor kids. It is instead an ingeniously crafted public-relations stunt that could double the cost of expanding the program while transferring as much as $17 million from our schools to a bunch of fabulously rich people. Then they can contribute even more to the mayor's campaign coffers. Hey, someone's got to pay for those commercials. To make matters worse, it guarantees that a couple thousand low-income kids—the very children who need pre-K programming the most—won't get it. Hey, Mr. Mayor, feel free to work all of that into a campaign spot. Look, I agree with the mayor that we need to expand pre-K opportunities for poor children so they can be in a better position to compete with their wealthier peers as they advance through school. But I think cutting a deal with investment bankers is the wrong way to do it. The mayor promises to expand an already existing pre-K program for poor kids at a cost of about $4 million a year—or $17 million over the course of four years. The most efficient, least expensive way to do that would be to pay for it up front. 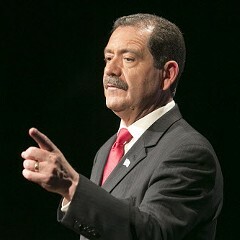 The $4 million-a-year tab is relative chump change in the Chicago Public Schools' annual budget of $5.5 billion. Yet the mayor is planning to borrow the money from Goldman Sachs, Northern Trust, and the J.B. and M.K. Pritzker Family Foundation. Borrow is the key word, because these dudes want their money back—with interest! If all goes according to plan, the lenders will receive more than $34 million for a preschool program that only cost $17 million. Even Tony Soprano would be impressed with that haul. The argument is that if kids are offered preschool today, they won't have to attend special-education classes tomorrow. And so the mayor is agreeing to take as much as $17 million that would otherwise go to special ed and pay it to the lenders. In that way, he's claiming that the program won't cost the taxpayers anything. But if expanding preschool actually winds up saving us money, why would we then give it away to rich bankers? 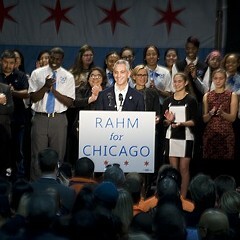 Off the top of my head, I can think of dozens of things I'd rather to spend the money on—such as art, drama, music, chess, intramural sports, or any of the other school programs Mayor Emanuel's been woefully negligent in funding. This financing scheme reminds me of the parking meter scam that Mayor Daley came up with back in 2008. In each case, the city gets a chunk of money on the front end but then loses out down the road—while ceding some of its powers and responsibilities to a group of wealthy investors. In the case of the parking meter deal, we're likely to wind up paying as much as $10 billion to the people who gave us $1 billion up front. In comparison, I guess the mayor's pre-K scheme is a good deal. 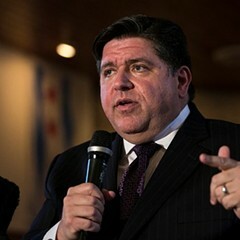 The mayor and his aides say Goldman Sachs, Northern Trust, and the Pritzker foundation are taking a huge risk by lending us the $17 million. I have to disagree with my mayor on this point. Having read the governing contract—and I'm not sure the mayor can make that claim—I've concluded that Goldman and the gang did a very good job of eliminating anything resembling risk on this deal. In a nutshell, the lenders get their money back if the kids in the pre-K program outscore their peers on standardized tests. And by peers, I'm not talking about kids who go to, oh, Parker, Latin, Lab, or any other private school where Goldman's execs would send their own children. No, the contract specifically indicates that the kids in preschool be compared to a "no pre-K comparison group." So for Goldman to get its money, the kids in the preschool program have to outscore the kids who aren't in the preschool program. Sounds like a safe bet to me. Moreover, the kids in the "no pre-K comparison group" have to be low-income, minority children who attend neighborhood schools. The contract specifically excludes kids who go to magnet or charter schools. 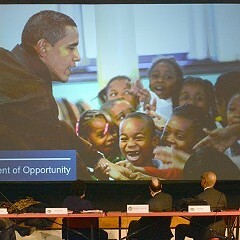 In his press release championing the program, the mayor said: "There is nothing more important than our kids." And yet to make sure that the investors get their money, the mayor essentially has to ensure that at least 2,600 kids don't get to participate in the pre-K program, because the deal stipulates that the control group has to be the same size as the one that's in the program. Here's a suggestion: instead of giving millions of dollars to the investment bankers, the mayor should use it to double the pre-K program. Finding an extra $4 million a year shouldn't be that hard if we really have a commitment to educating children. The mayor could even take it out of his favorite money pot, the $1.7 billion or so in the reserves of the city's tax increment financing program. That's the program where he takes money that's supposed to rebuild poor neighborhoods and largely pours it into rich ones. I'd like to acknowledge the five aldermen who voted against the pre-K funding deal: Robert Fioretti (Second Ward), Toni Foulkes (15th), Rick Munoz (22nd), Scott Waguespack (32nd), and John Arena (45th). Especially Waguespack, who spoke out forcefully against it. Shame on the 42 who went along with the mayor. Seems like you'll never learn. 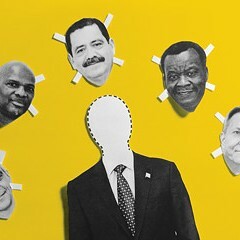 Whether you love Rahm or can't stand the guy, the city will be better off if he has to deal with a little more democracy. Mayor Emanuel's deal to fund preschool may give away too much money, but at least it shows what's needed to help poor kids.